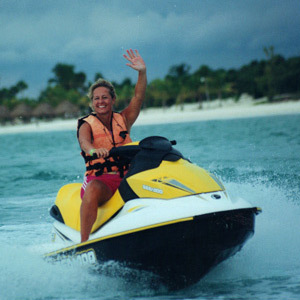 Paradise Travel & Cruise in Green Bay, WI is a full-service travel agency dedicated to providing our clients with the best travel experience available. Our services range from elaborate luxury accommodations and cruises to budget conscious leisure travel. With Paradise Travel & Cruise you will experience peace of mind knowing your travel event will be handled by an experienced professional. Our customers come back time after time because they know first hand all their travel arrangements are taken care of! Trips to Europe.. Kelly has traveled throughout Europe. Did you know that Kelly took French in high school and college in hopes studying in France after graduation? Ask her how that went…”Assez mauves” ……that’s short for “not so good. In 2006 & 2009, Kelly at Paradise Travel & Cruise sent a group of brave souls (including her husband) to Run with the Bulls in Pamplona Spain. These enthusiasts fulfilled a dream and experienced the trip of a lifetime. Do you have a dream vacation? 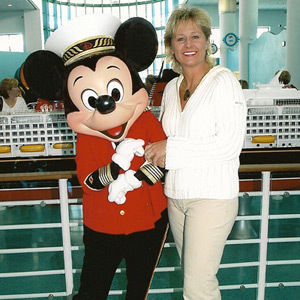 Call me, Kelly, at Paradise Travel & Cruise in Green Bay, WI and I’ll make it happen! The sky is the limit!